1 Chop the garlic and parsley, and add olive oil. 2 Pour the mixture over the scallops. 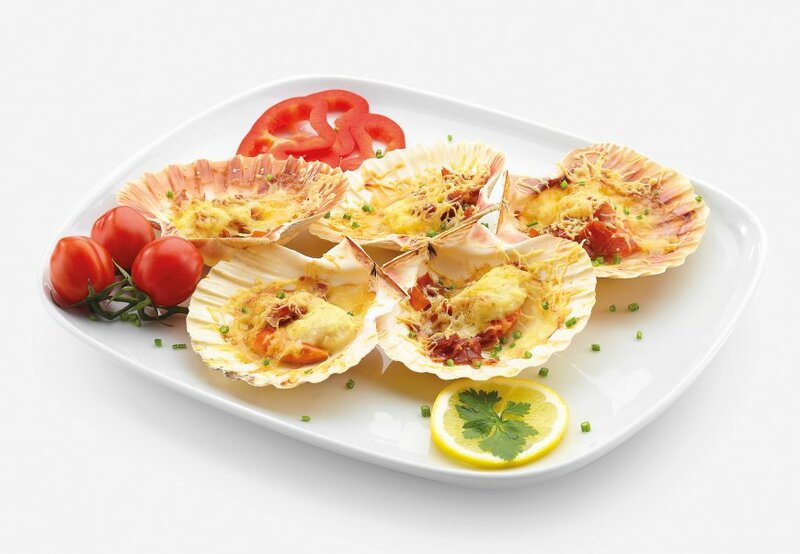 3 Put some prosciutto into each scallop shell, and sprinkle with grated cheese.